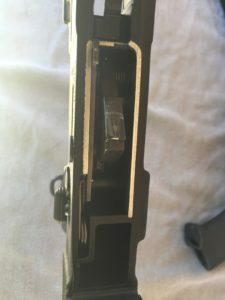 Earlier I wrote an article about an AR-180 Police Carbine lower that had shown up on a Japanese website. 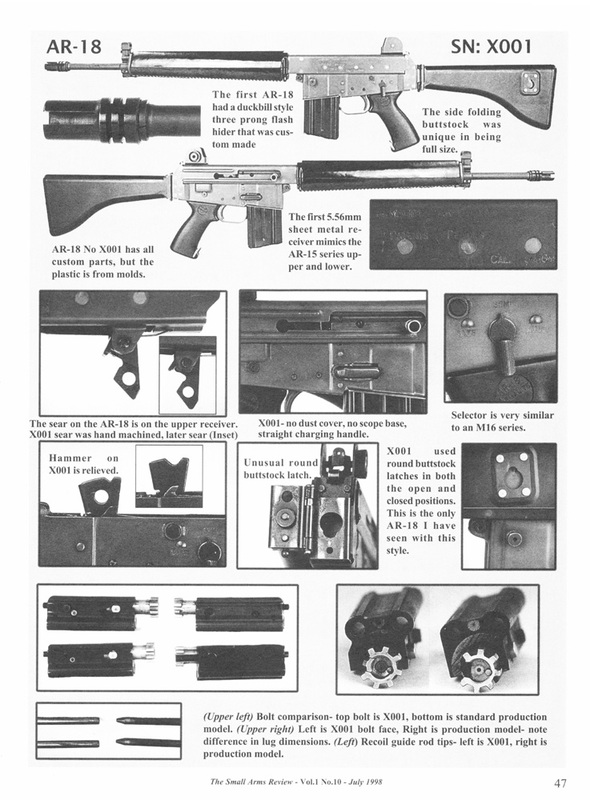 Turns out there are pictures of a fully assembled gun on the web. 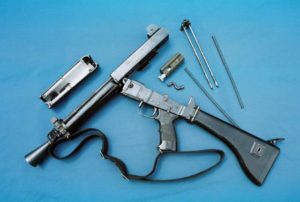 I have seen and shown this gun before but never saw all the pics and therefore I did not know it was the real deal. 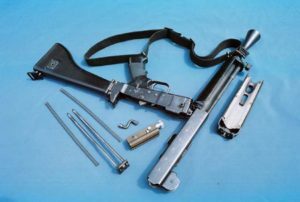 Buried deep in the sturmgewehr.com website are a bunch of picture and some of them actually happen to be of a Police Carbine, the semi auto SBR version of the AR-180. 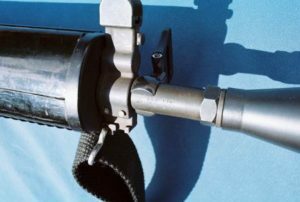 Interesting flash hider and sling mounts on this one. 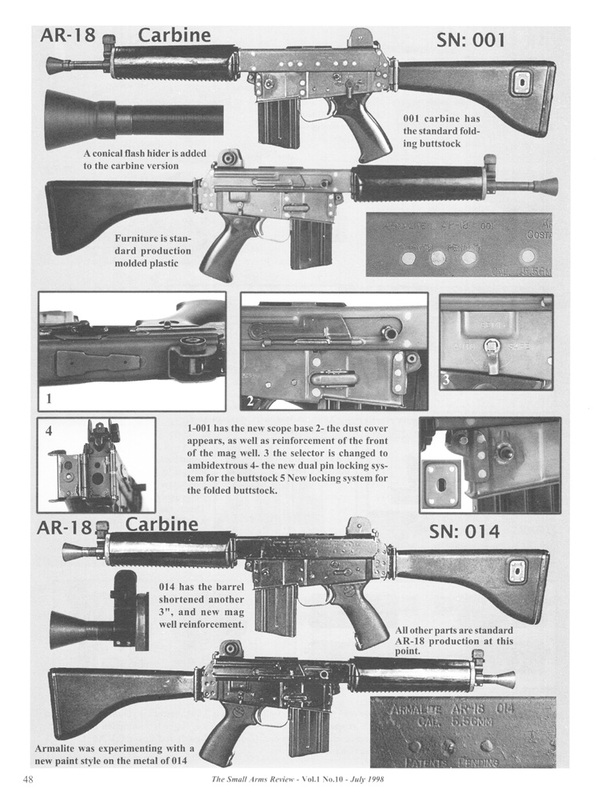 I originally misidentified it as an AR-18S from the two pictures I had seen previously. This one is serial SS 291 and I was recently sent a picture of one with a slightly higher number. 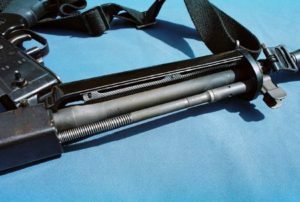 This one also has a standard flash hider. It is almost impossible to know if this is how it left the factory. 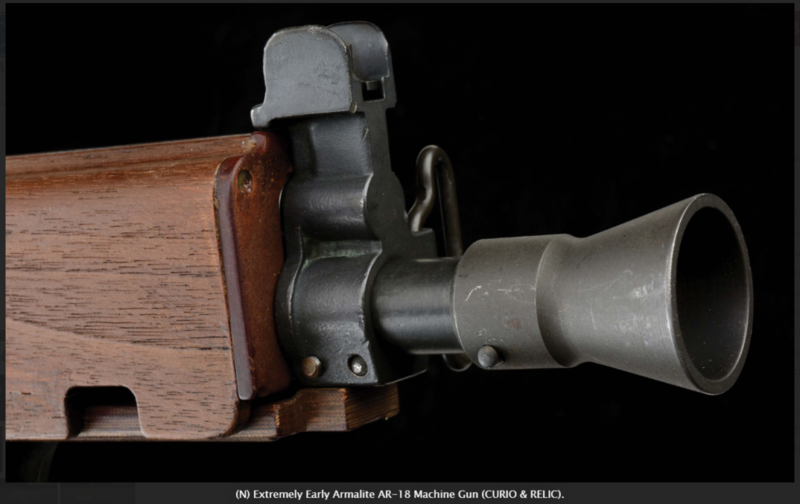 I was finally able to gets some pictures of examples of the early and late Armalite AR180B. 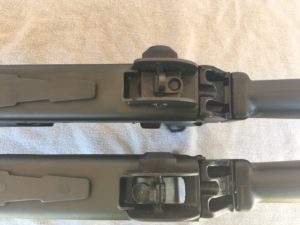 The most obvious difference is the barrel and this was the only difference I was aware of. 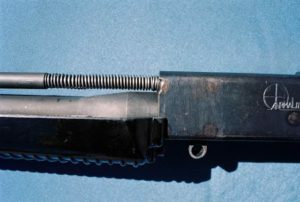 The early 180B is headspaced by turning the barrel in and using a lock nut to secure it in place. 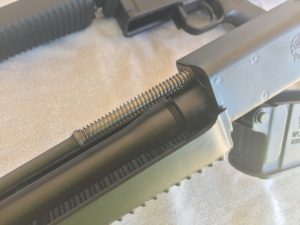 The late barrel has a shoulder machined into the barrel and this shoulder is machined until the headspace is correct when the barrel is tightened against the extension. 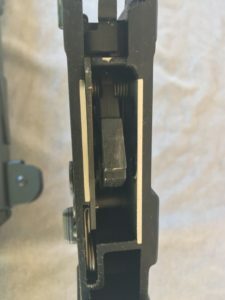 What I didn’t expect to see was a difference in the lowers. 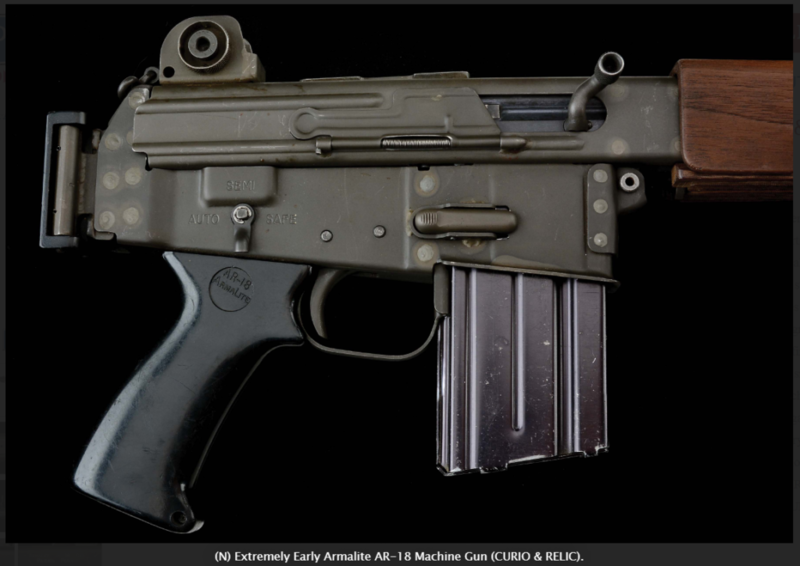 The early 180B has an aluminum shell molded into the polymer lower that surrounds the front of the fire control box. The late 180B has side walls and a small part in the front. 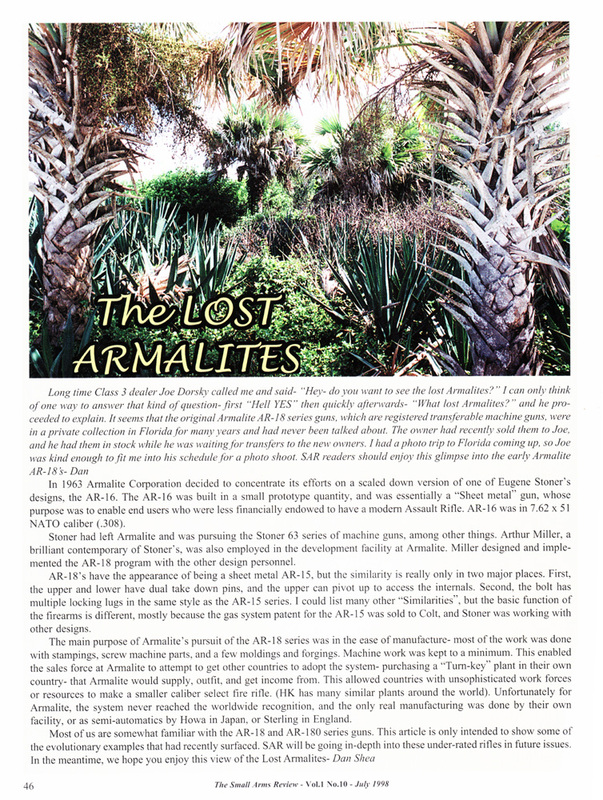 I had seen only one early rifle prior to this at GunBlast.com. 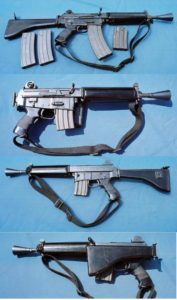 His review done in 2002 when these guns first entered the market has lots of awesome pics that I was able to compare to my early gun. 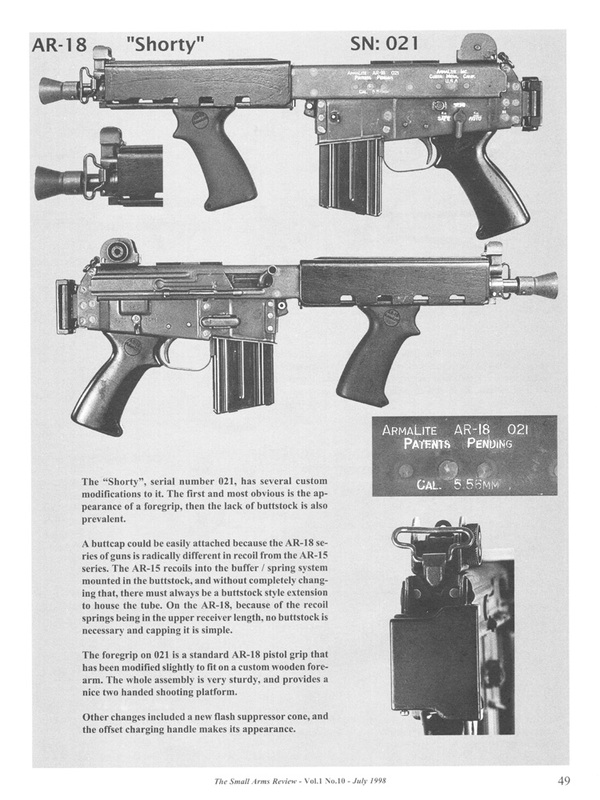 His was serial 200830, a very early gun. Production started at 200000. 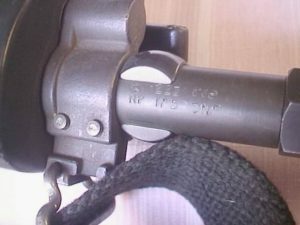 One other difference was noticed on my rifle but I dismissed it as the wrong part installed on my gun. 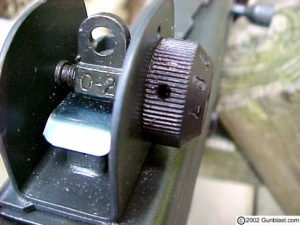 The rear sight aperture spring. Mine looked too narrow and looked like it was from a different gun. 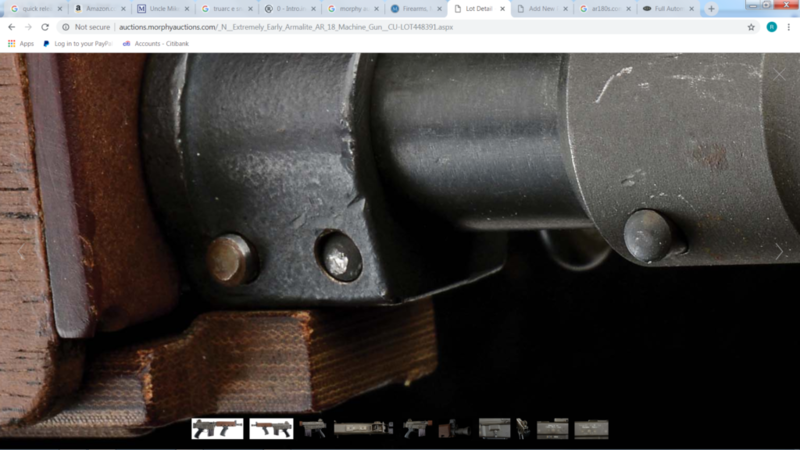 Then while writing this very article I noticed the same leaf spring on the one at GunBlast. Not like the ones on my later guns at all. EDIT to add a picture showing the sight leaf springs. Early on the bottom, late on top. Early is bright blue and hangs way over the tabs. One other thing was noted but will require further investigation. 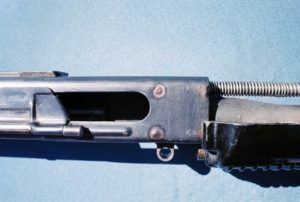 The barrel profile under the front sight base is different. 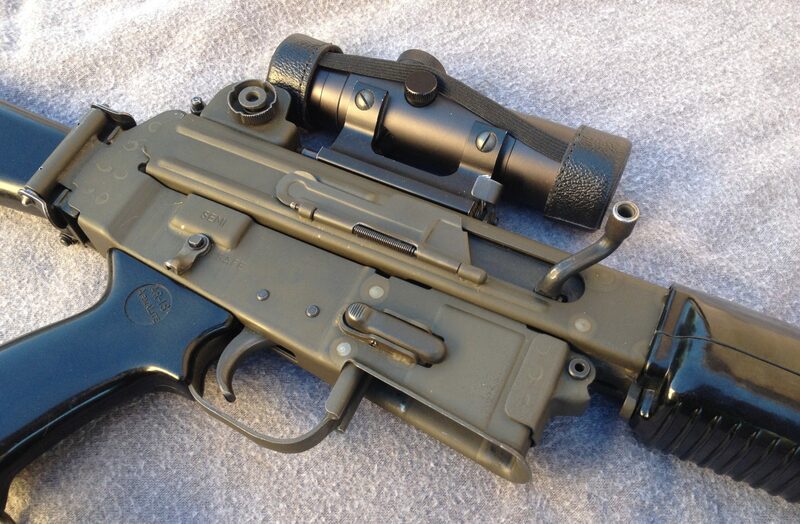 When I get time I will pull the sight bases on my guns and get pics. 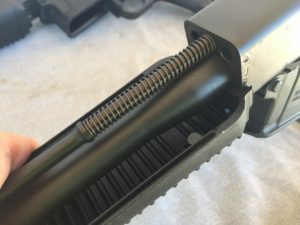 Finally the very latest AR180B’s came with threaded barrels and a flash hider. I do not yet have one of these. 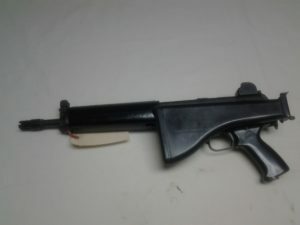 GunBlast.com did another review in 2009 with one of these late guns. You can check it out for yourself here. 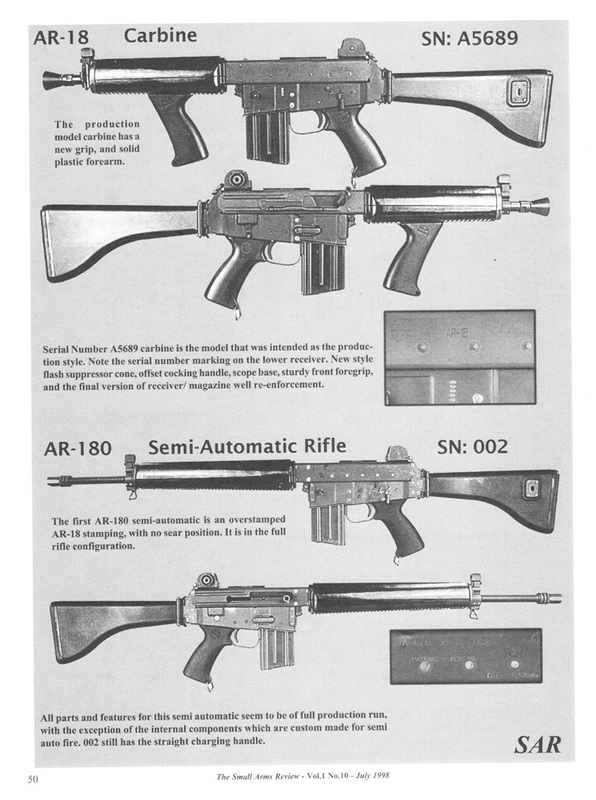 My earliest rifle is serial 201383 and the next oldest is 202916 so we know the change happened between these two. 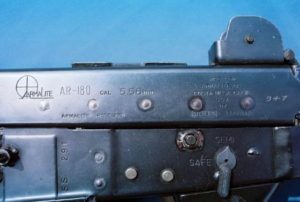 I would love for for my readers with AR180B rifles to take a look at your guns and let me know what features you have. If I can put serial numbers into a spreadsheet I should be able to lock down a what point this transition was made. Shoot me an email at Rick@AR180S.com so you don’t have to give out your numbers on the internet. I would like to know if you have early or late features of each of the features noted in this article.